EEPM Series Electro-Permanent Magnetic Chucks allow unobstructed 5 sided machining. providing safety in the event of a power failure. 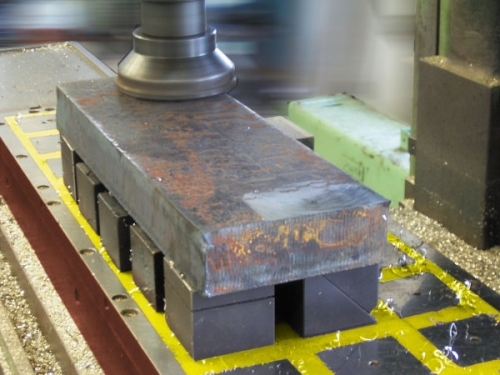 It is possible to machine 5 sides of a workpiece, with unobstructed movement of the cutter during machining. Only one cycle is required to finish a workpiece helping to achieve the best machining accuracy and increasing efficiency. An easy and conveinent method of clamping a workpiece, reducing normal clamping time. 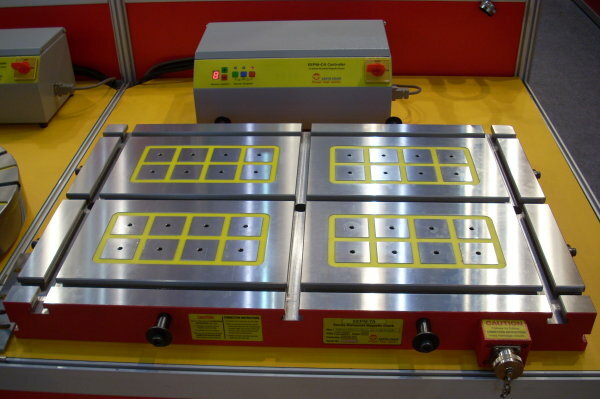 Most suitable for medium and small or even rough workpieces. Suitable for drilling and finishing machining on small workpieces. Minimum thickness of workpiece required is 10mm. A broader range of functions are available with the addition of Induction Blocks and Spring Blocks (see Optional Accessories).